Beautiful villa of 2 floors with 5 bedrooms and 3 bathrooms, private garden and swimming-pool. The house consists of a spacious living-room with a fireplace, separate fully fitted kitchen with a utility room, nice glazed terrace with the exit to the garden and swimming -pool.There is a gym downstairs with a a toilet and shower room. 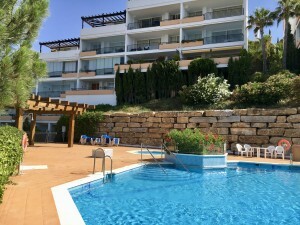 The property is located in a privileged area, close to one of the best kinder garden and school of the Costa del Sol and not far from the city, walking distance to the shops, pharmacy and commercial center.